"Radharani can deliver Krishna. She is so great a devotee, the emblem of maha-bhagavata. Even Krishna cannot understand the quality of Radharani's devotion. Although Krishna says vedaham samatitani -- 'I know everything' -- He fails to understand Radharani. 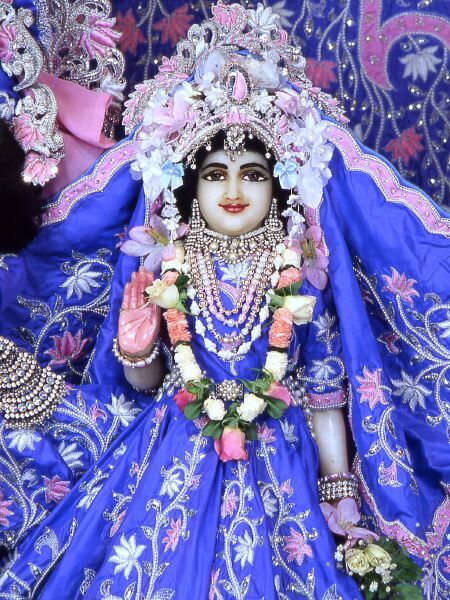 Radharani is so great."